Inspired by the Neo-Gothic design of the Palace of Westminster, Nutfield Priory Hotel and Spa is a 4 star country house hotel located in beautiful Redhill, Surrey. Set among 12 acres on Nutfield ridge, there are plentiful heritage, cultural and outdoor activities to explore. Rooms are spacious and decorated to high standards.Nutfield Priory Spa features a fully-equipped gym, indoor pool, steam room and sauna – perfect for a reviving spa break or spa day! From relaxing facials, lavish body wraps and invigorating massages, choose your perfect spa experience. Luxurious Elemis and Jessica nails products are used throughout the spa. Reap the therapeutic benefits of spa therapies within the tranquil surroundings of the spa. 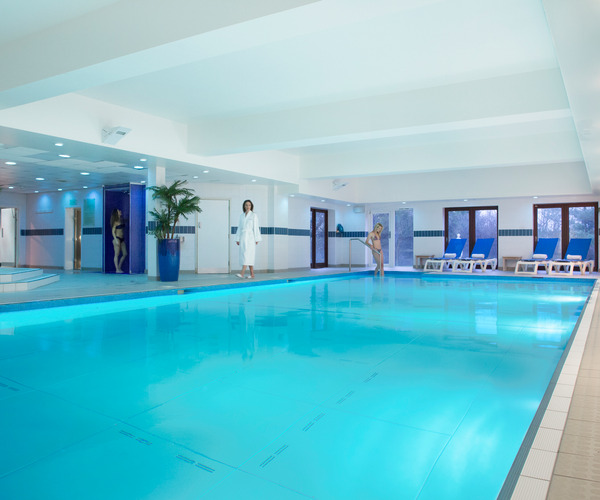 You can take a dip in the swimming pool, drift away in a relaxation room or be pampered by our experienced therapists with a wide range of treatments and beauty after care products from Elemis. Savour the relaxing surroundings of the spa before, during and after your treatment. Enjoy full use of the spa facilities including swimming pool, whirlpool, steam room and sauna. Adult-only swimming times are in place for quiet swims. There are also many exercise classes on offer such as aerobics and spinning, so you can really work up a sweat! The Cloisters Restaurant is a 2 AA Rosette restaurant featuring fresh local ingredients in the grand setting of the old dining hall. Enjoy a fine dining experience, celebrate a special occasion or just treat yourself to great food and an excellent wine list! The restaurant has exceptional views over the Surrey countryside, features seasonal menus and also offers private dining. The Grand Hall, Library & Bar are perfect places to unwind: you can enjoy morning coffee, elevenses, lunch, afternoon tea and evening cocktails. The stunning vaulted Grand Hall features stained glass windows – an ideal place to enjoy a light lunch and glass of Champagne. 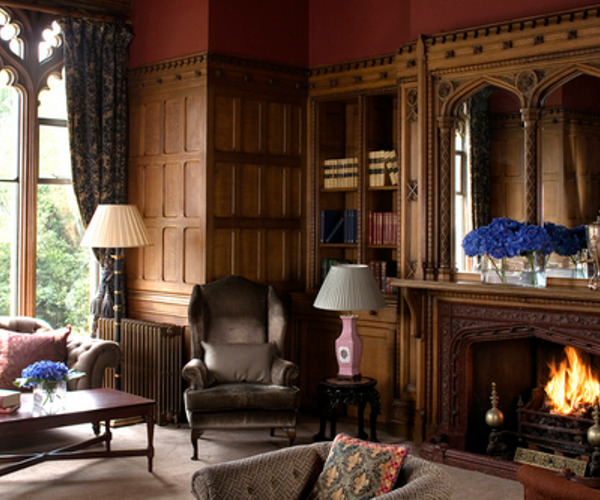 Nutfield Priory Hotel offers 60 bedrooms, all finished to the highest standards. The stunning Master Suites afford the best views of the surrounding grounds and gardens, while the Junior Suite are also perfect for a special occasion. One suite has its own private balcony terrace while another occupies three floors in the hotel’s tower.